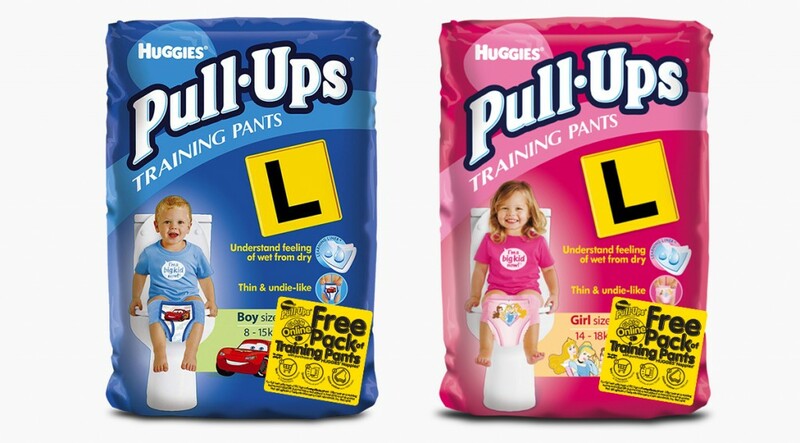 Huggies Pull-Ups range are a special range of nappies for children between the regular nappy ranges and training pants. 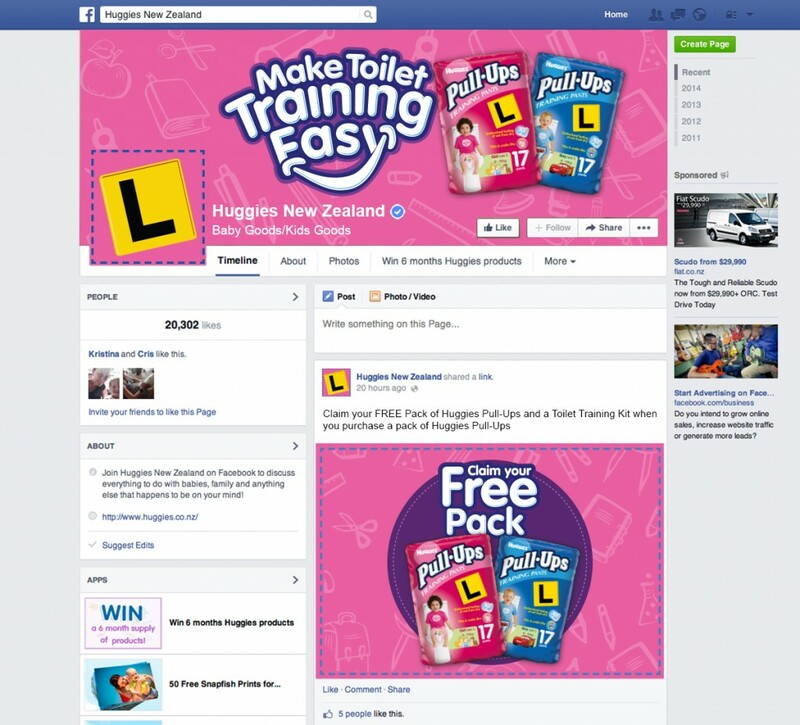 Huggies approached BTL to run a promotional campaign which also sought to educate the customer about their place for children approaching toilet training. 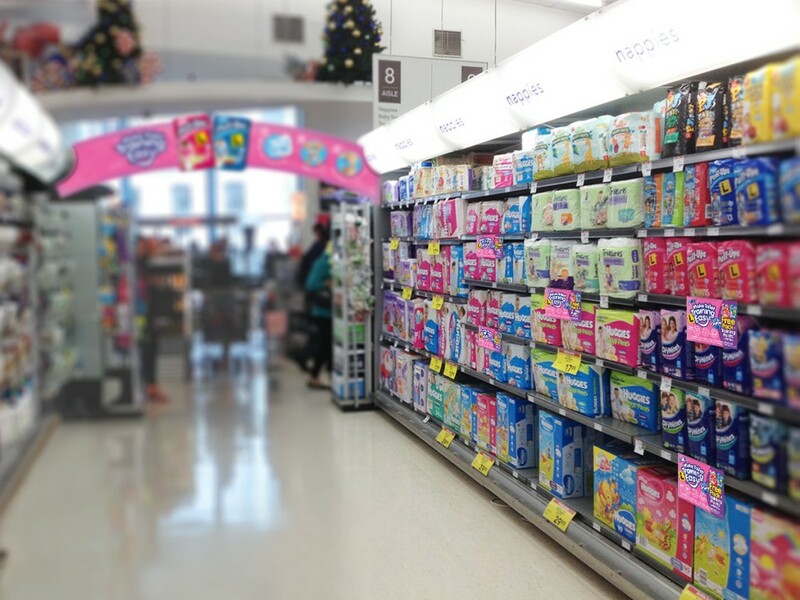 BTL worked through a range of promotional ideas and POS items that would be required for this – it was decided the mechanic would be buying one pair of Huggies Nappies would mean a free pack of pull-ups could be claimed online. As a part of the design team working on the pitch, I worked closely with the Creative Director and the rest of the design team to come up with a strong, compelling design look that stood out from the crowded and colourful product on the shelves. 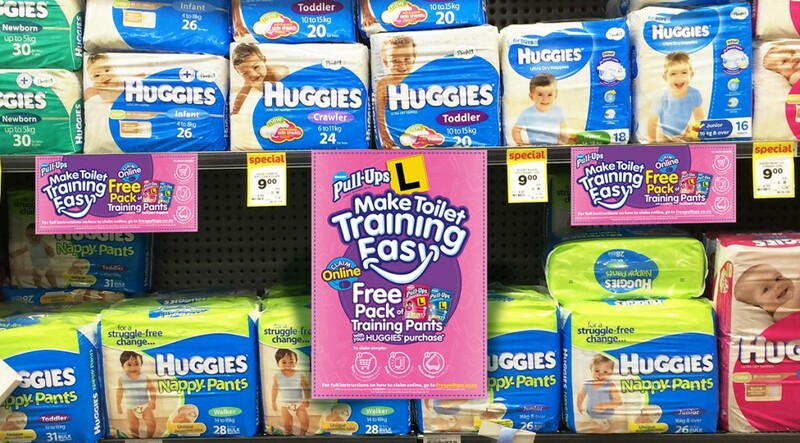 A choice was made to create a clear, bold and graphical text lockup using the aspirational message “Make Toilet Training Easy” to feature strongly. This lock-up device was conceived between myself and the creative director who devised the initial idea, and the design (including a few design tweaks) and artwork was produced by me. It was further integrated with elements that also appear on the Pull-Ups packs – a learner plate and the Pull-Ups logo. 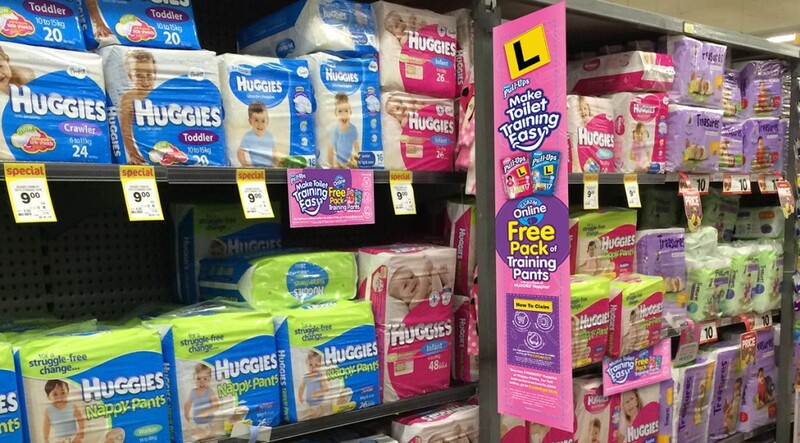 Further graphics were also designed to support this Huggies Pull-Ups are also clearly colour coded with a cyan blue for boys and magenta pink for girls, so the colour range for the campaign needed to accommodate these colours, without creating an over-preference for either. While a number of creative ideas were presented as a part of the pitch, the final items that were produced as the POS suite were on-pack stickers, posters, image tickets (3Ups), Shelf Fins and pads, Facebook and website online advertising and a variety of digital advertisements for affiliated parents websites.